Formulated without acid, NABC cleans, disinfects, and deodorizes toilet bowls, urinals and other restroom surfaces. Safe to use on nearly any hard surface, NABC will not etch porcelain or harm plumbing/septic tanks when used according to directions. 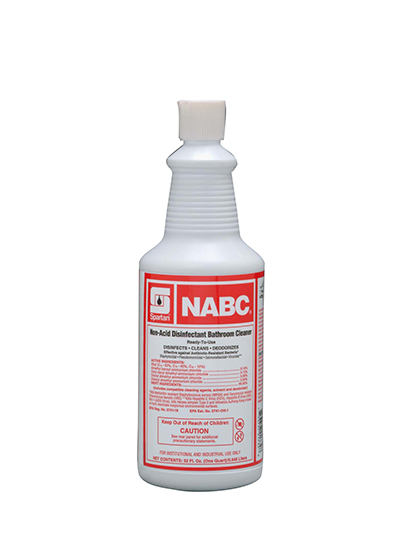 Effective for clean-ups per the Bloodborne Pathogen Standard, NABC delivers healthy restrooms and a signature clean fragrance.